In the New South Wales Rugby League (1908–1994), Australian Rugby League (1995–1997), and National Rugby League (1998-1999, 2002–present) competitions the South Sydney Rabbitohs are the most successful professional team in the history of Australian rugby league in terms of total championships won, having claimed 21 first grade premierships. DataQuest is looking forward to a big year in 2017 with this proud club. WANT TO PARTNER WITH DATAQUEST? The South Sydney District Rugby League Football Club (pre-curser to the current corporate entity) was formed, under the original 1908 articles of association with the NSWRL competition, to represent the Sydney municipalities of Redfern, Alexandria, Zetland, Waterloo, Mascot and Botany. 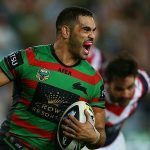 The Rabbitohs have won the most first-grade premierships (21) during the history of elite rugby league competition in Australia. Souths’ 1925 first grade side is one of six New South Wales sides to ever go through a season undefeated. The club won the premiership in all three grades in 1925, a feat only repeated on three other occasions (Balmain Tigers in 1915 and 1916 and St George Dragons in 1963).